Photos are not necessarily displayed in chronological order. 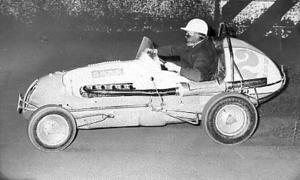 Bill Goode, a top Queensland driver brought the notorious Falcon Q5 down to the Royale in 1962, 63 and 64. The Falcon ran third in the AGP in 1962 and had pole position in 1963. Running here with the Falcon engine. Goode and Q5 this time running a Holden engine with the standard iron head. 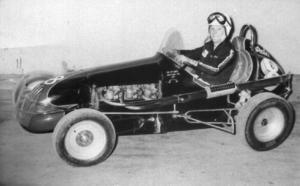 It was later fitted with the Repco engine from the SA34 car of Bruce Rickard. 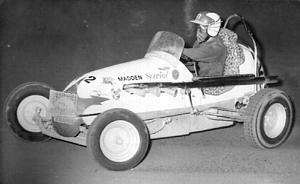 South Australian ace driver Bruce Rickard in the Repco SA 34. 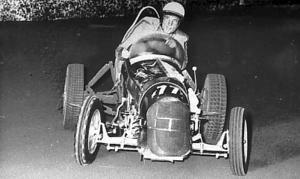 Rickard won the World Speedcar title at the Royale in 1961. 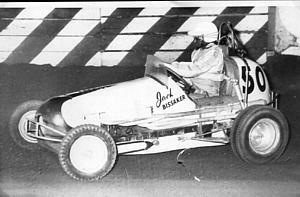 Top sidecar rider, Jack Bissaker tried his hand with midgets. Unfortunately Jack lost his life in this car in an accident at the Royale on the 21/10/61. Two of the sport's greatest young drivers. 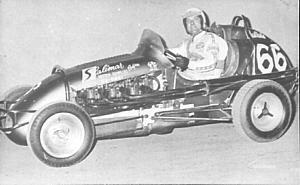 Jeff Freeman in the Linklater # 55 Holden. 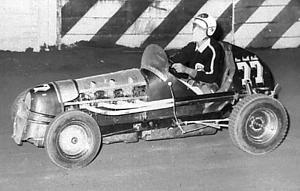 Jeff lost his life in an accident at Westmead Speedway on the 9/5/65. Young Queensland star driver, Kev Jefferson in the Repco Q60. Like Freeman, he had it all before him. Kev lost his life in an accident at the Ekka on the 11/5/63. 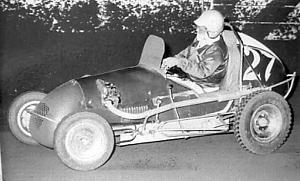 He was Queensland Champion in 1962. 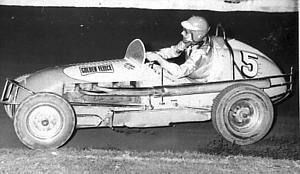 Leroy Warriner brought the Offy #76 to Australia in 1961 and had his first drive at the Royale on 11/2/61 when he won the 20 lap feature race from Len Brock in 99 and Kev Park in 66. 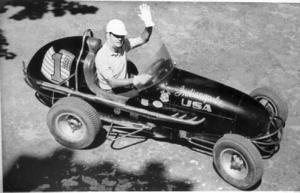 Johnny "Super" Stewart. 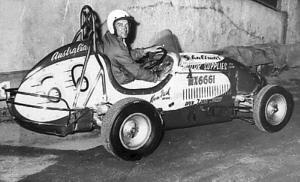 Probably the most admired of all Australian midget drivers, he had a huge fan base. 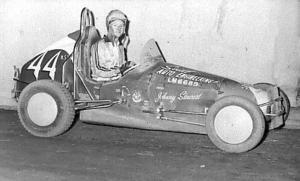 Johnny did a lot of his earlier driving in # 44 the Laurie Seidl Holden. The very talented Kevin Park in # 66, the Shalimar Spares Holden. 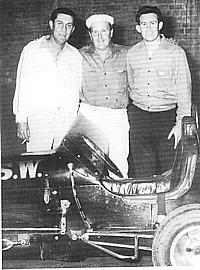 Kev won the World Speedcar title at the Royale on 29/2/64 from Johnny Harvey and Jeff Freeman. 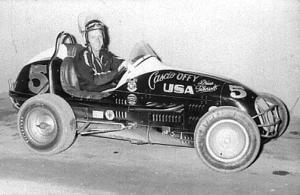 George Archibald in Holden # 8. 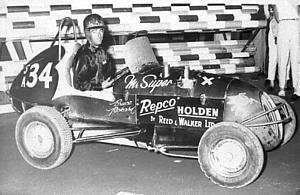 Australian speedway legend, Johnny Peers in the # 2 Repco Holden. ( the ex Frank Brewer, ex Harry Neale car ). Johnny won the NSW title in 1948. 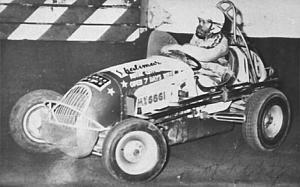 Veteran midget ace, Andy McGavin in the Mackay # 65 Holden. 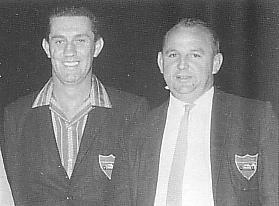 Andy won the Australian title in 1954, 1955, 1957, 1959, 1961, the NSW title in 1956 and 1963 and the World title in 1959. 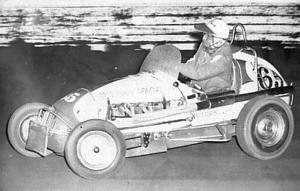 Probably one of our most credentialed midget drivers of all times. 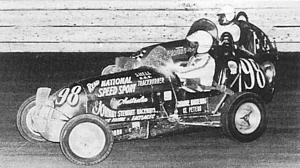 Nick Collier in the little twin # 27. Nick lost his life at the Royale on the 27/2/65. He crashed after the race was finished. 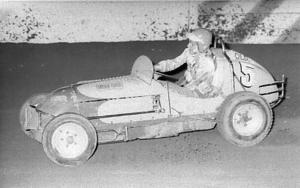 Lew Marshall in the Herb Elliott Holden midget # 77. Lou originally brought this car down from Qld. as Q8. Affectionately known as "Dopey", and it suffered some monumental smashes during it's career. It is now restored and runs with the VSA. 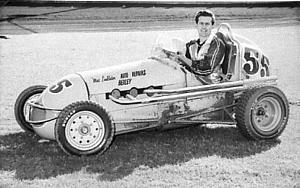 Ken Morton and the Herb Elliott Holden, "Dopey". A lot of big names drove this car including Lew Marshall, Bryan Cunneen, Johnny Stewart and Jeff Freeman. The popular Kevin Park in # 66. 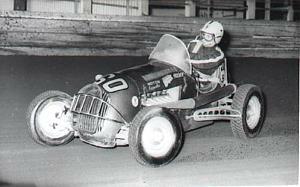 Kev in action at the Royale in the ex Green, ex Brabham, ex O'Dea midget # 66. Len Brock, John Harvey and Andy McGavin. 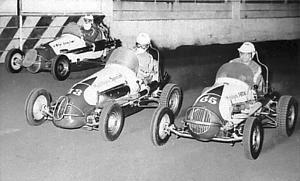 The Harvey # 13 is the ex Werner Greve 13 and ex # 48 of Frank Brewer, shown on page 1 with (a) Andy McGavin as # 48 and (b) # 18 with Fay Taylour. Johnny "Super" Stewart in # 98 runs inside William "Be" Goode from Qld. in the ex Jim Davies Offy Q5. Three of the sport's greatest. They have each left us now but their memory will live on in Speedcar history. Andy McGavin, Don Mackay and Jeff Freeman with one of the famous black Mackay Offies. Click here and go to Speedcars at the Royale Page 3. The evergreen Andy McGavin (left) with "Leadfoot" Lennie Brock. Brock was one of the "hard chargers" of the era.